VANCOUVER — The U.S. women’s hockey team was hoping the pressure of playing at home would weigh too heavily on its Canadian opponents in Thursday’s gold-medal game. Instead, a capacity crowd at Canada Hockey Place that included Wayne Gretzky and actor Michael J. Fox, paired with a superhuman effort by Canadian goaltender Shannon Szabados, lifted Team Canada to its third consecutive Olympic gold medal. Canada’s 2-0 victory gave the hockey-crazed Olympic host country its most treasured medal to date in this Games. “We know they’re cheering for us. Where’s the pressure in that?” Szabados said. That precious gold came at the expense of a U.S. women’s team looking to reverse its Olympic fortunes. Since winning gold at the 1998 Games, where women’s hockey made its Olympic debut, the USA has come up short of a repeat with two silvers (2002 and 2010) and a bronze (2006). Four-time Olympian Angela Ruggiero, who put off pursuing a career to try for another gold at this Games, cried on the ice as Canada celebrated. Team Canada, which came back on the ice after fans left to celebrate with cigars and champagne, has ruled the Olympic landscape since losing to the USA in the 1998 title game. Szabados, a 23-year-old Olympic rookie, ensured Thursday that reign would continue, making 28 saves, many of them trigger-quick glove saves. Canadian coach Melody Davidson did not reveal her goalie for the gold medal game until players took the ice. Davidson recalled afterward that, in her first meeting with Szabados, the young goaltender asked if she could get in just one game against the USA. She played in more than that, and she played gloriously in the one that mattered most. “Obviously, she had the weight of her country on her, and I thought she responded well for the entire game,” U.S. coach Mark Johnson said. She was so impenetrable the Americans played more than two minutes in the first two periods with a five-on-three advantage but couldn’t score. “She stole the game from us,” U.S. forward Monique Lamoureux said. Another Olympic rookie, Marie-Philip Poulin, 18, gave the Canadians all the scoring they needed with two first-period goals. Those goals and Szabados’ saves became the convincing arguments that, after losing the last two world championships against the USA, Canada has turned the tide. Just in time to deliver gold under pressure. “I was standing on the blue line after the game, thinking, ‘Did I really just get a shutout?’?” Szabados said. Four people who entered Canada as Olympic spectators have sought to stay in the country as refugees, Canadian immigration officials said yesterday. Just who the asylum seekers are and where they came from has not yet been made public. 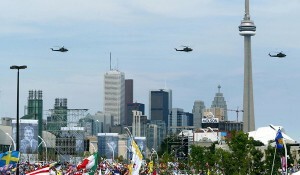 But Johanne Nadeau, spokeswoman for Citizenship and Immigration Canada, said the four arrived from countries whose citizens do not require a visitor’s visa to enter Canada. Nadeau also confirmed the claimants are not among the 27,000 foreign nationals — including athletes, team officials, Olympic officials, workers and members of the media — who are in Vancouver under a special streamlined accreditation process designed to support the Olympic and Paralympic Games. Rather, “they indicated that they originally came to Canada to see the Games and then made a refugee claim,” Nadeau said in an e-mail to the Vancouver Sun. Nadeau said she couldn’t discuss the origin of the claimants because of privacy laws. However, Richard Kurland, a Vancouver-based immigration policy analyst, suggested the asylum seekers may have come from Hungary or Slovenia, which are among the top source countries for refugees to Canada recently, in large part due to large populations of Roma people. The Roma — many of whom have claimed ethnic persecution in their home countries — can be found throughout Europe, but travel to Canada is restricted for most by a visa requirement. Canada has historically seen an influx in refugee numbers during major international sporting events. During the Calgary Games in 1988, one person, rumoured to be a Romanian coach, sought asylum. Six years later, 13 people applied for refugee status during the Victoria Commonwealth Games. Among them was Daniel Igali, the Nigerian-born wrestler who went on to win gold for Canada during the 2000 Olympics in Sydney. Now a resident of Surrey, Igali was among the celebrated torchbearers for the 2010 Games. In 1999, six Cubans made asylum claims, including a journalist, during the Pan American Games in Winnipeg. Nadeau said the four recent claimants will have their cases processed individually. “Each case will be assessed according to its own merits,” she said. 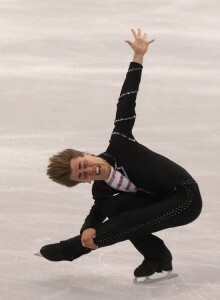 Check out some hilarious photography from the 2010 Olympics Figure Skating competition. Maybe Laurier was just a man 100 years before his time. As the world assembles in Vancouver for the Winter Olympics, the 21st century is shaping up great for Canada. For starters, Canada has avoided many of the problems that currently bedevil the U.S.—mountains of public debt, a banking system in crisis, the housing debacle and a weakened currency. Canada’s banking system, essentially made up of the Royal Bank of Canada and four other big banks, remained strong during the global credit crisis. With no bailouts, it is the soundest system in the world, marked by a steady and responsible continuation of lending and profits. “Canada has shown itself to be a pretty good manager of the financial system,” U.S. President Barack Obama said amid the financial crisis. Was that a touch of envy in his voice? And it is not just banks that have remained solvent. Canada, with its relatively small population of 34 million, has the lowest debt burden of any G8 country and less than half the per capita debt burden of the U.S.
Bill Gross, who runs Pimco, one of the world’s biggest bond managers, recently said that he thinks Canada is the best bet for investment among developed nations. “It moved toward and stayed closer to fiscal balance than any other country,” said Gross. The world is taking note. Canada just hosted the G7 finance meeting way up north in Nunavut and will host both the G8 and G20 conferences later this year. Most important, Canada has welcomed the world to the Winter Olympics in Vancouver and is showing off its accomplishments. Laurier would be thrilled. But not surprised.